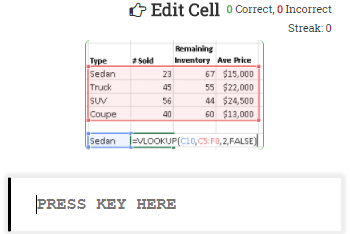 Learn the essentials of VBA with this one-of-a-kind interactive tutorial. 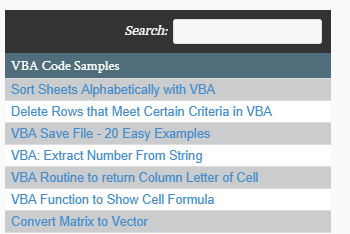 100+ VBA code examples, including detailed walkthroughs of common VBA tasks. Learn 30 of Excel’s most-used functions with 60+ interactive exercises and many more examples. List of 100+ most-used Excel Functions. 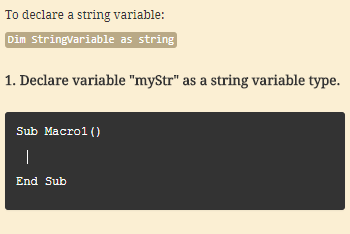 See the syntax or click the function for an in-depth tutorial. 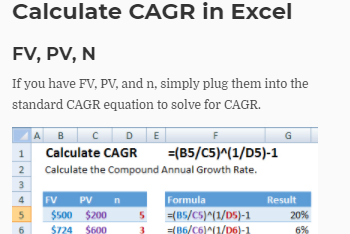 Growing list of Excel Formula examples (and detailed descriptions) for common Excel tasks. Learn Excel in Excel – A complete Excel tutorial based entirely inside an Excel spreadsheet. 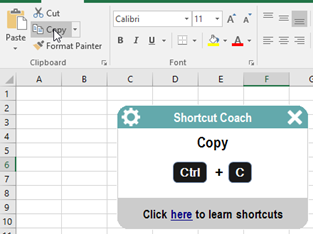 Interactive shortcut training app – Learn 70+ of Excel’s most useful shortcuts. 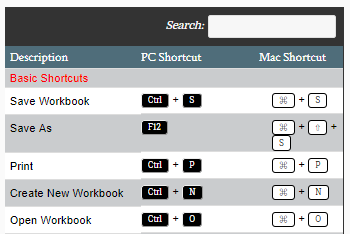 List of 200+ Excel shortcuts. Bookmark and come back to reference. 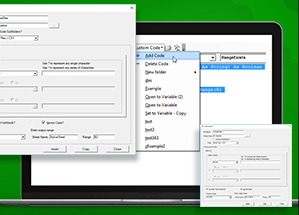 Excel shortcut training add-in – Learn shortcuts effortlessly as you work. Have you turned on Scroll Lock? The Scroll Lock setting determines what happens when you use the Arrow Keys in Excel. 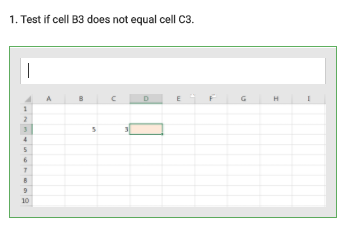 When Scroll Lock is off (the default setting), the Arrow Keys allow you to navigate and select different cells within a worksheet. When Scroll Lock is enabled, the Arrow Keys will instead “scroll” through the active window. You will not be able to navigate to different cells (using the Arrow Keys), instead you will only be able to change the viewing area, similar to clicking the arrows on the Scroll Bars. There are times when you may want Scroll Lock enabled, though in general, most Excel users only activate this feature by accident. In this tutorial, you will learn how to check if Scroll Lock has been turned on and how to disable it. There is a scroll lock button on some keyboards, as well as a scroll lock light, which indicates whether or not the scroll lock button has been pressed and turned on. The scroll lock button is usually on the top right hand corner of the keyboard. If the scroll lock light is turned on, that means that scroll lock is active. 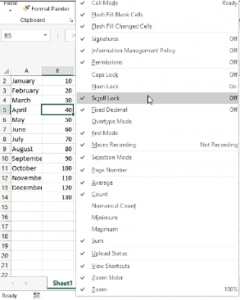 If you do not have a scroll lock button and light on your keyboard, you will need to enable the scroll lock status in Excel. If Scroll Lock is on and the Scroll Lock status is enabled in the status bar, the status bar will display the words Scroll Lock in the bottom-left corner of the screen. Though if Scroll Lock is NOT enabled in the status bar, it may still be on but you will not be aware. To make sure the visual display of Scroll Lock is enabled, right click the status bar. The customize status bar menu will pop up. Make sure the Scroll Lock option is checked. Again, this is only checking the option to SHOW you in the status bar whether or not Scroll Lock is on, not actually turning Scroll Lock on or off. 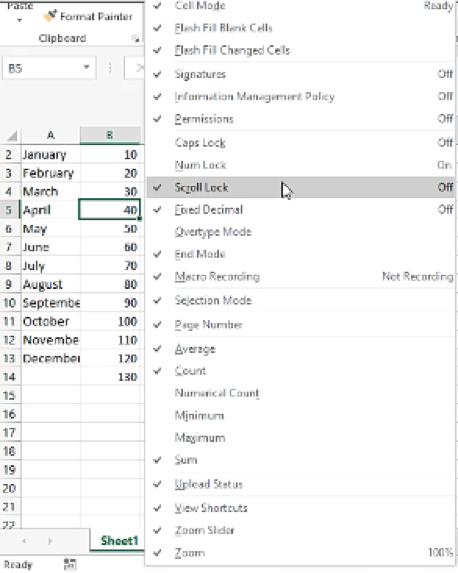 Now, when Scroll Lock is on, it will display on the bottom of your Excel screen. 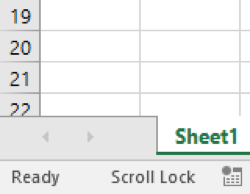 If “Scroll Lock” is showing in the bottom-left corner of the Excel window, then YES, scroll lock is enabled. If you do not see “Scroll Lock,” it is NOT enabled. If you feel that Scroll Lock may be enabled, but you do not see the words in the bottom-left corner, ensure that the steps have been taken to enable the visual display as mentioned above. Your keyboard has a Scroll Lock Key, simply press this key to turn it off. The Scroll Lock message will disappear, and you will be able to change the active cell. Your keyboard may not have a Scroll Lock Key. 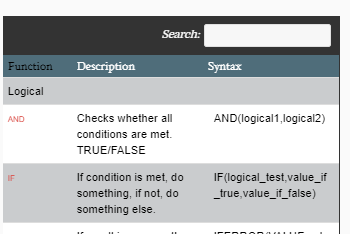 In which case, open the search menu on your computer and type “On-Screen Keyboard.” Go back to Excel with the keyboard displayed, and hit the Scroll Lock key, “ScrLk,” and this should turn it off. 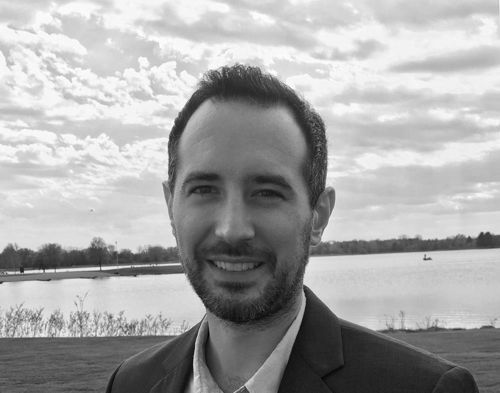 "At Automate Excel we offer a range of free resources, software, training, and consulting to help you Excel at Excel. Contact me to learn more." I'm constantly posting new free stuff! Sign up here to receive notices. 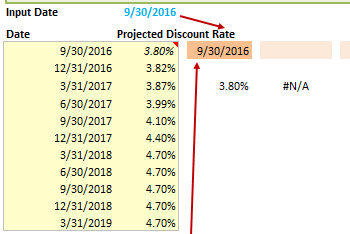 © 2019 Spreadsheet Boot Camp LLC. All Rights Reserved.